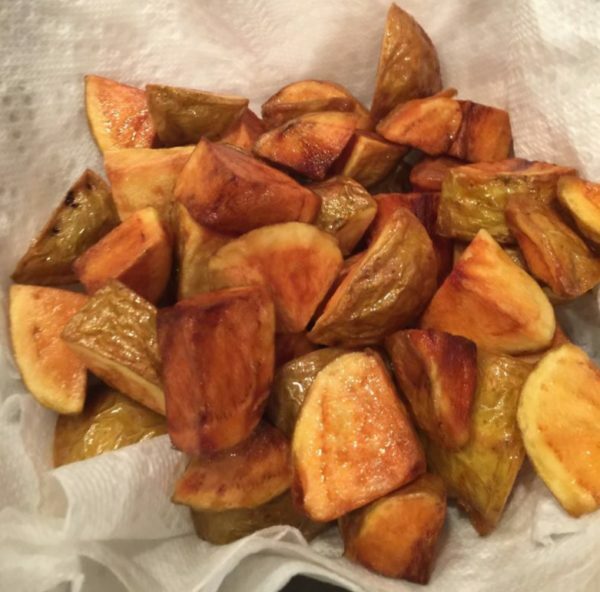 Want a great but simple side dish they'll ask for time and time again? 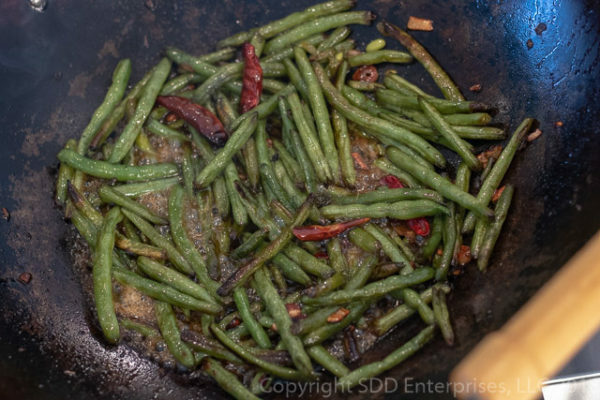 A little char on these green beans sauteed with garlic and honey is all it will take. Hot pepper flakes add another dimension that can't be beat. Clean the beans and steam for 5 minutes (until just getting supple). Set aside. In a wok or other large saute pan, heat the butter and olive oil over high heat, until butter is starting to foam. Add the garlic and chili peppers (if using). Saute about 30 second getting the butter full of garlic flavor but, not letting the garlic burn. Keeping a high heat, add the green beans and saute by keeping the beans moving in the pan until they are starting to wilt and char a little on the edges, about 5 to 8 minutes. Pour the honey over the beans and continue to shake the pan until all the beans are coated. Remove the pan from the heat. Discard the chili pepper and serve immediately. This recipe is great with frozen or fresh whole green beans. If using frozen, try to get the steam-able in the bag kind, but either way, just warm them in the microwave until they are getting slightly supple. If using fresh, snip off the stems and steam them for about 5 minutes until slightly supple. 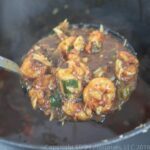 A wok works very well for this recipe, but if you don't have a wok, any saute pan will do. A little char on the green beans is the key to making this dish delicious and special. High heat is a must. Make sure to keep the pan moving because you want to cook these up hot and fast and get some char without burning the beans. If you don't have dried chili peppers, substitute a couple of tablespoons of red pepper flakes. If you want to leave those out, this will still be a super delicious dish.